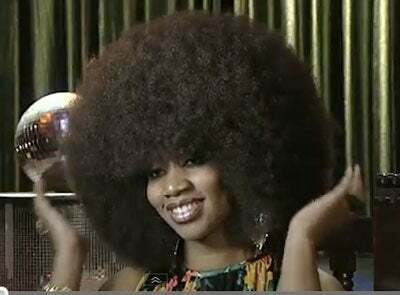 This ginormous 'fro holds the Guinness World Record! If you thought your ‘fro was huge, wait till you check out Aevin Dugas’ ‘do! The New Orleans based social worker’s ‘fro has an eye-popping circumference of 4’4” and currently holds the Guinness World Record for the World’s Largest Afro. Aevin’s hair is so big that she can’t see while driving, it gets caught in her car door, and if she were to hit the club it could get in someone’s drink. Wowza.